Are Pitchers Being Coddled Too Much? HOUSTON, Tex. 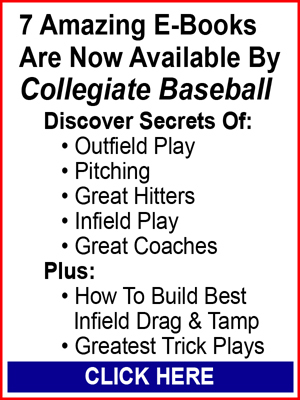 — Talk to any pitching coach, and the subject of pitch counts will undoubtedly come up. While the sport hemorrhaged more than half a billion dollars for players on the disabled list last season, the answer to elbow and shoulder injuries is still an elusive mirage. On the college, high school and youth baseball levels, elbow and shoulder surgeries to pitchers are costing parents millions of dollars each year. 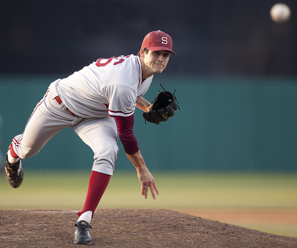 For years, the medical community has recommended that college and professional pitchers throw 120 or fewer pitches a game. But that is hardly the total answer when you are dealing with pitching mechanics or hurlers throwing a large number of stressful pitches in one inning. According to The Cultural Encyclopedia Of Baseball, pitch counts were not utilized for many years in pro baseball. The main factor was how successful the pitcher was. If his velocity went down or he was laboring, the pitcher was simply taken out. Common sense ruled the day. Sandy Koufax averaged 155 pitches per game in one season during the early 1960s which was not unusual for that era. Nolan Ryan was an absolute workhorse. He threw 235 pitches in a 12-inning game against the Red Sox in 1974. He also threw 241 pitches in a game for the Angels in the mid-1970s. Ryan believed he averaged between 160-180 pitches per game in 1974. Washington Senators’ pitcher Tom Cheney threw 228 pitches in 1963 as he struck out 21 Orioles in a 16-inning game. Luis Tiant threw 163 pitches in a complete game win by the Red Sox over the Reds in Game 4 of the 1975 World Series. In 1987, there were 106 performances where a pitcher threw at least 140 pitches in a Major League game. Eight years later in 1995, that total was only 36. The protocol by the late 1990s was 120 pitches as the limit to keep pitchers healthy. If you think these numbers by starting professional pitchers were high years ago in pro baseball, the Japanese really push the envelope when it comes to high pitch counts. In a remarkable story by Jeff Passan of Yahoo Sports recently, he discussed Japan’s national high school baseball tournament which takes place twice a year. Recently the spring championship took place, and a young 16-year-old boy named Tomohiro Anraku of Saibi High School threw 772 pitches over 46 innings in five days. He started the tournament with a 94 mph fastball and threw 232 pitches over 13 innings in his first contest. Then he threw 159, 138, 134 and 109 pitches in succeeding games. In his last game, not surprisingly, he could barely muster enough arm strength to throw fastballs 80 mph as he gave up nine runs during an eventual 17-1 drubbing. According to Passan, the ultimate compliment for a baseball player in Japan is to be called Kaibutsu which translates to “Monster” and symbolizes an athlete who performs at a remarkable level during the national tournament. Passan also pointed out that 15 years ago at the Japanese national high school tournament that Daisuke Matsuzaka threw 250 pitches over 17 innings during a quarterfinal game. Then he pitched the next day in relief. And a day later, Matsuzaka fired a no-hitter in the finals. He pitched eight seasons in Japan pro baseball dominating hitters and signed with the Red Sox for $103 million for six years. In his fifth year at 30 years old, he blew out his elbow which required Tommy John surgery. And he wasn’t able to make the Cleveland Indians as the fifth starter out of spring training. For years, Boyd Nation has produced a web site called www.boydsworld.com which features college baseball ratings and analysis. One of his categories is the Pitch Count Watch in NCAA Division I. This season, he uncovered 13 outings by pitchers that resulted in 140 pitches or more. Box scores either have actual pitch counts or the number of batters faced. So some of the counts are estimates that are extremely close. The highest number this year was an estimated total of 183 by pitcher Josh Freeman of Alabama A&M when he threw 9 2/3 innings against Jackson St. on April 6. He faced 50 batters, walked 11, and had 4 strikeouts as he gave up 10 hits in the 5-4 loss to Jackson St.
No actual pitch count was listed in the box score of this game — only batters faced. But if Freeman threw an average of 4 pitches to each of the 50 batters, the count would be 200 pitches. And it isn’t unreasonable to assume he hit that figure or higher with the number of walks he registered and strikeouts. Alabama A&M’s sports information department and baseball office were called to seek an actual pitch count for Freeman. But nobody called Collegiate Baseball back with Freeman’s pitch count total for this outing as of press time. Last season saw two pitchers go far beyond what hurlers normally do. RHP Taylor Sewitt of Manhattan College pitched 22 scoreless innings over three straight days at the Metro Atlantic Athletic Conference Tournament to guide the Jaspers to the league title. He struck out 20 batters, allowed 10 hits and won three games as he threw 296 total pitches. He began with a nine inning complete game, 1-0 victory over Fairfield on a Friday with 12 strikeouts. The next day, he came out of the bullpen and held Canisius scoreless in the final two innings of a 5-4, 10-inning walk-off win. Then on Sunday, he pitched 11 scoreless innings to lead Manhattan to a 3-2 win. Mitch Crocker of Westmont College (CA) accomplished something that may never have been done in college baseball history as he recorded three wins over a 25-hour period. Those wins allowed Westmont to quality for the Golden State Athletic conference tournament for the first time in 15 years. After losing the first of the four-game series to Vanguard, Westmont went on to win the next three in must win scenarios. In game two, which was scheduled for seven innings, Crocker took the mound in the bottom of the seventh with the bases loaded, two outs and the score tied at three. The righthander coaxed Van-guard’s Alec Rosales to ground out to end the threat. After Westmont scored three runs in the top of the eighth, Crocker returned to the mound and pitched a scoreless bottom of the eighth to record the win. The next day, Crocker was called in the seventh after the Warriors had given up five runs and fell behind, 9-8. With two outs and runners on the corners, Crocker struck out Adonis Tountas to end the rally. After Crocker pitched a scoreless top of the eighth, Westmont’s Tim Leary belted a 2-run homer in the bottom of the eighth to put the Warriors back on top, 10-8. Crocker then retired the side in order in the top of the ninth to earn his second win. Upon returning to the dugout, Crocker told his coaches that he was ready to go back out in the second game of the doubleheader. Crocker then went out and pitched a complete game, giving the Warriors an 8-2 win. He gave up one run in the second and third innings, but kept the Lions scoreless in the final six innings. In those three games over 25 hours, Crocker threw 173 pitches in 12 2/3 innings of work. He allowed two runs on 10 hits, struck out nine and walked three. Derek Johnson, pitching coordinator with the Chicago Cubs, weighed in on pitch counts in baseball. “The reality is that pitch counts are where baseball is today,” said Johnson. 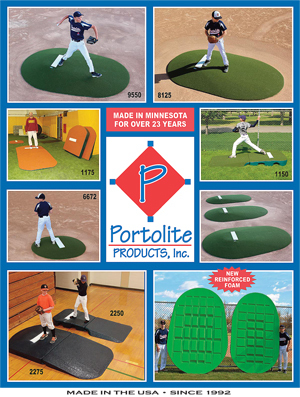 “Years ago when I played, starting pitchers would have much higher pitch totals than today. And common sense was the tool that determined when a pitcher was pulled or not. If pitches were getting up in the zone or you saw velocity drops, fewer strikes and a change in mechanics, then pitchers were getting tired and were usually taken out. “On the professional level, we are talking about protecting pitchers who are being paid millions of dollars. We always have to be vigilant on whether we need to have pitchers back off on innings or games or continue pitching. And every pitcher is different. Johnson was asked if pitchers are being babied too much now. 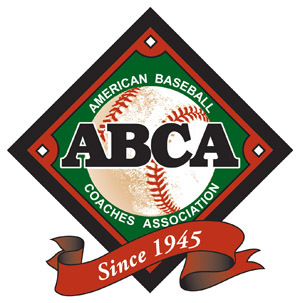 While more teams than ever are monitoring pitch counts on the high school, college and professional levels with precision, and utilizing closers late in games, the University of Arizona won the 2012 national championship by extending their starting pitchers deep into games. Wildcat starters finished with 16 complete games, including eight over its final 19 contests. It was the most complete games in a single season at the school in the last 23 years. To put this in perspective, Arizona had the same amount of complete games as the entire Southeastern Conference made up of 12 teams. In 36 games, their top three starters worked into the seven inning at a minimum. Kurt Heyer ultimately threw 2,212 total pitches while Konner Wade fired 1,851 pitches and James Farris 1,612. And interestingly, there were no pitching injuries last season. “From a pitch count perspective, our magical number is 125 pitches,” said Wildcat pitching coach Shaun Cole. “Once a pitcher hits that number, we really watch him carefully. We usually make a decision at that number. But we also watch pitchers throughout the game and monitor their velocity. If it drops or command starts being an issue, we might pull them. “There were plenty of times last season when we went out to visit Kurt Heyer at the 125-pitch mark, and he still had a lot more in the tank. The most we ever allowed Kurt to go to was 135 pitches. “But other guys might not be able to go past the fourth inning without showing problems. Cole said that the time of year must also be taken into account. “If it is early in the season, why would any coach press a pitcher to go 125 or 130 pitches? But late in the year if a pitcher is conditioned well and his velocity hasn’t dropped, you probably should consider letting that pitcher go a little longer depending on the game. Cole feels pitchers are babied too much today. “In Nolan Ryan’s day, there was a mentality of finishing games by starting pitchers. Pitchers today, and probably a lot of position players, simply don’t throw enough. “I feel catchers should throw more than they normally do. Catchers can strengthen their arms by throwing to second but with the second baseman standing behind the bag on the outfield grass. With the rise in elbow and shoulder injuries to youth baseball pitches, the American Sports Medicine Institute feels important steps must be taken to minimize such injuries. ASMI suggests watching and responding to signs of fatigue (such as decreased ball velocity, decreased accuracy, upright trunk during pitching, dropped elbow during pitching or increased time between pitches). 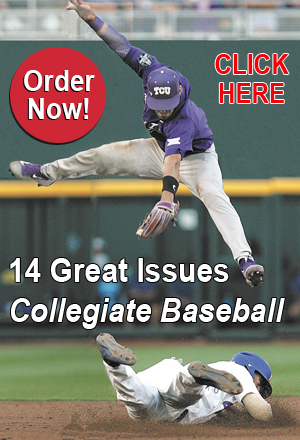 To obtain this issue of Collegiate Baseball or subscribe, CLICK HERE. In the Jan. 4, 2013 edition of Collegiate Baseball, we noted that Major League Baseball has been discussing ways to protect pitchers from being injured by batted balls. Hat liners are a possibility in the minor leagues next season, according to an article carried by the Associated Press. At one time, batters in baseball didn’t wear helmets. But now, every hitter and runner is required to wear helmets. In fact, base coaches on many levels are required to wear helmets after minor league first base coach Mike Coolbaugh was killed by a line drive in 2007. Simple common sense should dictate that head protection be mandated for pitchers. After a pitch is released, he is close to 50 feet away from the batter and in harms way for a line drive injury to the head. Steve Henson of Yahoo Sports, one of the most respected writers in the nation, penned an in-depth article on pitcher head injuries several years ago which quoted Frederick Mueller, a University of North Carolina professor and chairman of USA Baseball’s Medical and Safety Advisory Committee, as saying that an average of one serious injury or death from high school and college pitchers struck in the head by line drives per year has taken place since 1982. It’s time that all rules committees in college and high school baseball require head protection for pitchers. Bats and balls are not the problem. Lack of head protection is the issue.